I have a small production making fender type cabinets, selling it to DIYers. I also sell DIY kits, and finished amplifiers. I was curious to who can make vintage fender type chrome chassis with silk screen and what the price would be. Europe? China? I might order up to 100 pieces (different kinds of chassis) if the price is right. Has anyone tried making this type of chassis? Maybe it would be worth the while of investing in production tools myself. I guess you will need a CNC plasma cutter, metal folding machine, chrome plating setup and a silk screening setup. Some of them are pretty expensive, up to 120 euro a piece and I need them all the time. Besides, it would be nice to be able to manufacture custom types. Re: Chrome chassis with silkscreen. Is chrome plating still allowed in the EU?? Actually, good question. I have no idea. I know some dealers still sell these types of chassis in EU. Perhaps hoping nobody would notice? It is a niche market. Fender still makes their amps with chrome plated chassis, so I assume it's okay? Current ROHS legislation in the UK says "All the components and subassemblies of EEE placed on the UK market must contain less than the maximum prescribed levels of lead, cadmium, mercury, hexavalent chromium and two specified flame retardants." EEE stands for Electrical and Electronic Equipment. Do you have a link to a EU seller of these chassis? Chrome plating without hexavalent chromium has always been possible. It's even more efficiënt using trivalent chromium. This colour has been adapted using additives, ever since ROHS came into view. I don't think that's a reason to risk millions of cancer cases, both with workers that apply chrome plating and people working on treated parts (welding, grinding, recycling). I guess nickel plating would do just fine. When I say chrome, I mean just shiny mirror-ish finish I actually prefer the warmer colour of nickel. Chrome Platted Brass or Copper Tube? 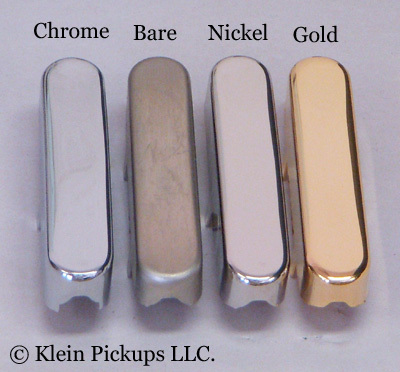 Anyone have specific vendor recommendation for chrome plating? Franks tube data page & auto download disabling on Chrome/Adobe X - how to stop?